As we approach our 40th brunch and my second 30th birthday I am reflecting on this past year and looking forward at where I am going. As a community at Ace, we feel so lucky and our hearts are filled with gratitude. This past year we have created a community of amazing women, who share their fearless stories and allow themselves to be vulnerable, letting authenticity shine through across the entire country. Our pillars we built The Ace Class on. Nothing short of amazing, and it makes me so proud. But the truth is this incredible movement has grown so quickly and we need to think about the sustainability of the company so that Ace can continue to do this incredibly important work. Just over two years ago, I lost something very important to me - a business I poured my heart and soul into with little to nothing in return. Everything I did was for someone else's benefit. We produced an amazing publication, sharing the stories of those who truly made our city great, all at the cost of my personal finances, well-being and relationships. The optics of success to the public are a phenomenal thing. I often got stopped by strangers telling me how much they loved and admired my work and how it had made such an impact in their lives and for their businesses, and how much ‘the city needed it’. But very few were willing to put their money where their mouth was, and now it no longer exists. After going through that experience, I promised myself to never make the same mistakes again. Today, as I look at the bank account for Ace, I realize that this is not currently sustainable on its own. Our current model is break even at best and that doesn’t account for adding great people to our team to ensure we can can continue to deliver inspiring events, without me losing my sanity. We need to invest in a model that attracts sponsorships, has recurring revenue, and can truly stand on its own for us to create all the magnificent extensions of Ace we have planned - including The Ace Conference in 2019, our exclusive membership model, content extensions like The Ace Talks Podcast and many, many more amazing ideas we have. But the reality is that without some immediate funding, it will be a struggle to keep the lights on. So, we need your support. We need you to say that you want Ace to be around tomorrow. 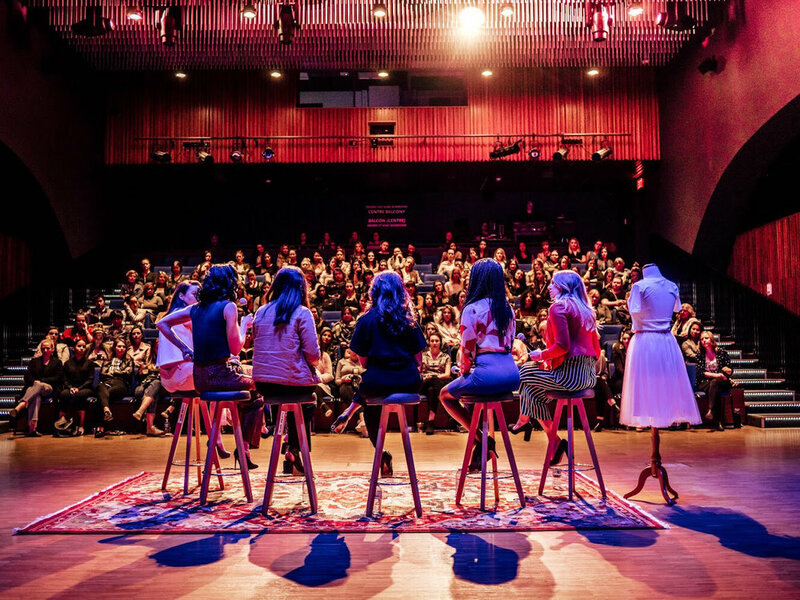 We need our community to say that you believe in us, but more importantly, that you believe in the values we’re trying to instil and the message we’re trying to spread - that women need to support one another, that our voices have value and that vulnerability is a serious superpower and something we need more of in this curated and filtered world. Show us that you support what we are building together, and that if this was to not exist tomorrow, it would leave a blank space in our community and a void in your own life. Today, we are launching The Ace Class memberships. This will offer perks like exclusive offers from our partners, early access and first dibs on tickets to events and a curated community of women who are interested in supporting other women. We will be transitioning to a membership-only model so that we can provide more experiences that offer greater value while building out amazing content. We are asking for your support now, so that we can support you indefinitely. A membership with The Ace Class will be like having a mentor and best friend on speed dial. Think of it as your very own coveted pink book of contacts ready to support you with building your business, expanding your professional development and empowering your voice. We are seeking Founding Members - those who believe in our future together - who will remain a special part of our history in our annual report for 2018. You will get a copy signed by our team and hand delivered to you. There is a bigger read here on all that memberships has to offer you. All are welcome at our table, so I encourage you to come sit with us. Become a Founding Member here. If you'd be interested in supporting in any capacity as we build this for our community, check out our GoFundme campaign here and make an impactful investment in our future together. Thank you, in advance, for believing that a small group of thoughtful women can change the world. Indeed, it is the only thing that ever does.